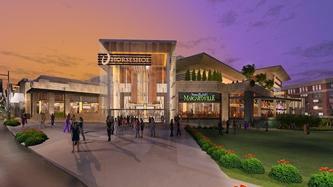 Horseshoe executives say they're excited about the casino's turnout after the first two weeks of business. During an update to Hamilton County Commissioners, General Manager Kevin Kline reports the casino is making good on its hiring promises. He says the casino promised to hire 90 percent of its employees from the Cincinnati metro area. Currently, that number is 92 percent. Kline says the casino is now working with downtown businesses and the convention and visitors bureau on ways to attract more people to the region.